Another Movie Monday post just kind of dropped into my lap this week. 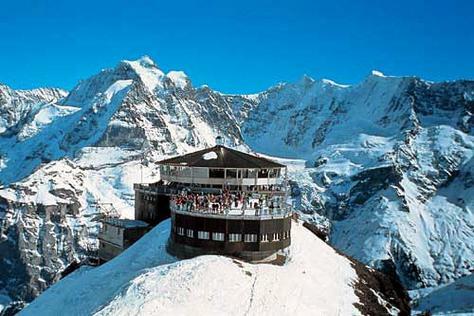 I was continuing my research on mountaintop excursions in Switzerland, specifically Schilthorn mountain in the Bernese Alps, as a possible side trip for the girls and me in December, when I learned that the Schilthorn summit was the setting for the James Bond movie On Her Majesty's Secret Service. I know James Bond movies are not exactly young-family friendly, as they always contain strong action violence, sexual situations, and mildly crude language, but if you've got pre-teens, especially boys, these films are no worse than most of today's action adventures. Well, there is a beautiful panaramic revolving restaurant called Piz Gloria on top of Schilthorn, which in 1969 was unfinished due to delayed construction. The Bond production team actually financed the completion of the restaurant and helicopter landing platform in exchange for the right to use the location (and blow it up) for the Her Majesty's film. Piz Gloria makes for a fabulous visit, not only to experience the longest aerial cableway ride in the Alps, but for the unforgettable scenic views at 9,744 feet of Switzerland, France, and Germany from the rotating restaurant. And, the highlight for you 007 fans, will be living the James Bond legend: the black diamond ski run featured in the movie starts at the summit and leads down to Engetal below Birg; at the Piz Gloria restaurant, you can order the very popular James Bond Breakfast Buffet served daily from 8:00 to 10:30 a.m.; at the James Bond Bar you can enjoy the famous "Martini, shaken not stirred," and in the Touristorama there is a photographic exhibition as well as extracts from the movie to honor the secret agent. 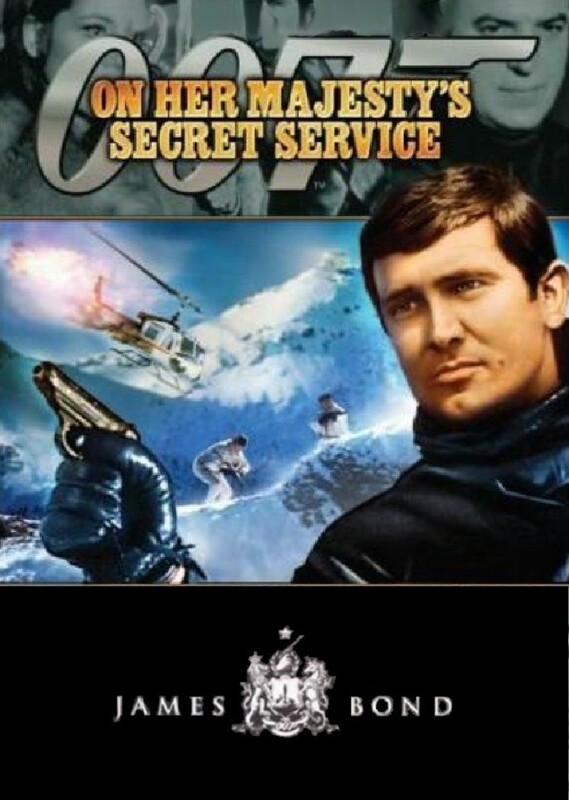 Don't recognize James Bond in this movie? It's the only one where the role was played by George Lazenby. Buyers who have not been started into the online film rental world additionally might be unconscious of different advantages/highlights of such administrations.